Las Gidi | Juliet 'Kego's World of Floetry; Explore! Experience! Enjoy! 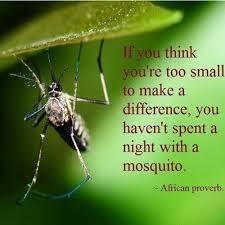 My love affair with a certain cool Mister Mosquito, in Las Gidi was like no other. Some love affairs you remember like no other! I met him by chance on my very first night in the city. He awakened my auditory senses. He croons a lilting, husky lullaby to me every night. At first, the sound of his voice irritated the heck out of me. I tried to raid him off and he came back stronger. Almost as if he was immune to my sprays and re-coil. #77. 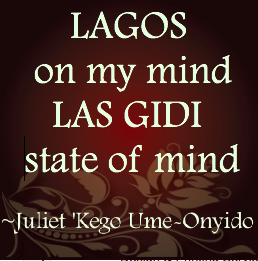 Lagos on my mind; Las Gidi state of mind. Listen to the AUDIO Version of the poem below. of crazy Molue and Danfo drivers. moving fast-forward, then lost in reverse. all in a polluted maze of fleece! I love my Eko o [(♪, ♫)]. Redeemed by our sacred love for this soulful Island! The only currency accepted here are big, bold dreams. Finding our unique light in the darkness, UP NEPA! in a Las Gidi state of mind. (c) Juliet ‘Kego Ume-Onyido 2015 (All rights reserved).